Author of "Easy as the Wind." 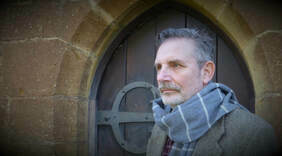 Bill Davidson is a Scottish writer of mainly horror and fantasy. In the last few years, he has placed over thirty short stories with good publications around the world including Ellen Datlow’s Best Horror of the Year Anthology, Flame Tree, Hell Bound Books and Dark Lane Books. He has written three novels over the same time frame, but it’s harder finding publishers for the bigger stuff. Thoughts Behind "Easy as the Wind"